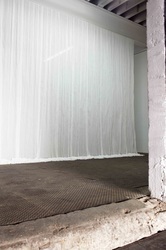 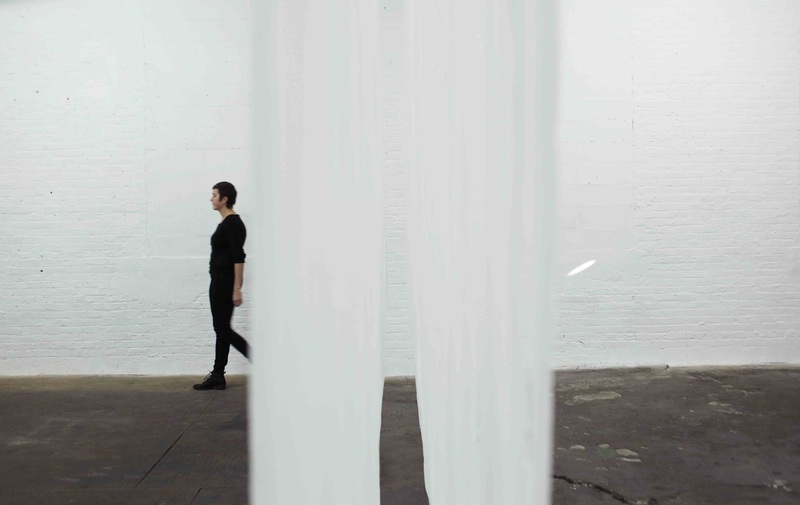 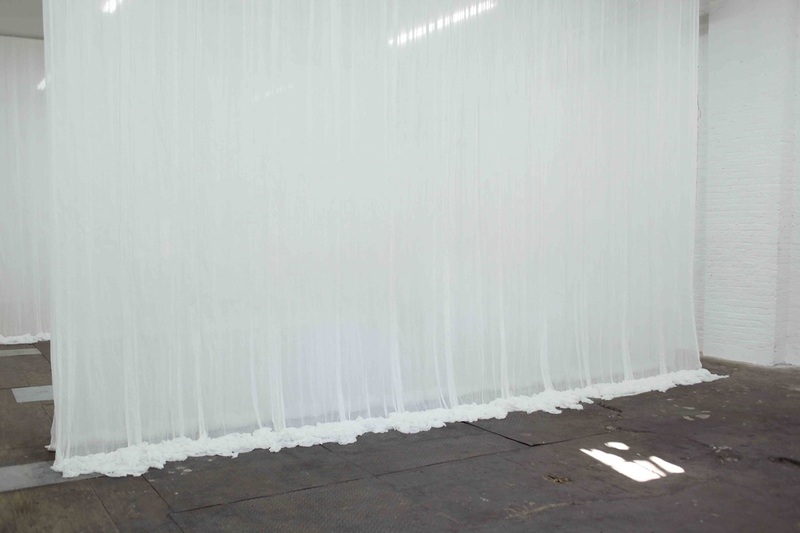 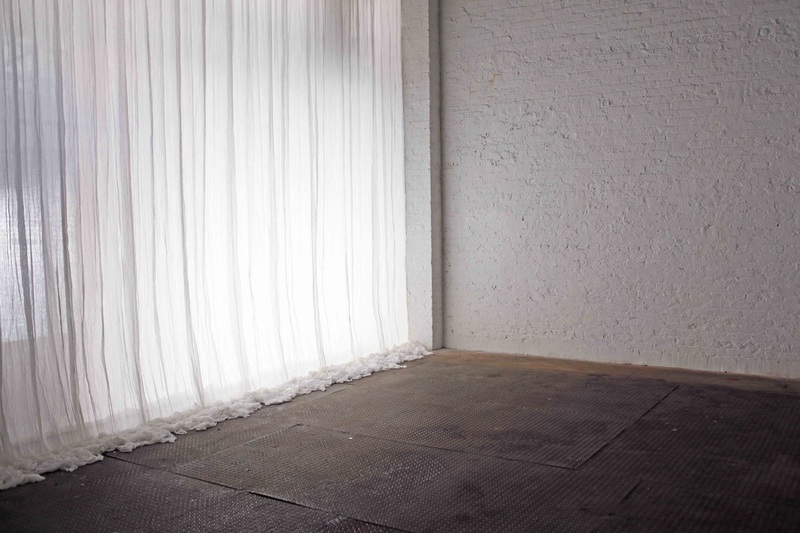 Folds is a gallery-spanning large-scale installation: 700 yards of cheesecloth have been draped from the structural beams in the ceiling, forming ghostly, semi-opaque curtains that section off the gallery floor. Frozen into shape with a mixture of glue and water, the draped cloth preserves the handwrung irregularities of the process in rippling folds. 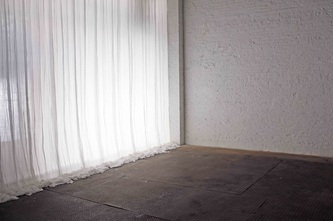 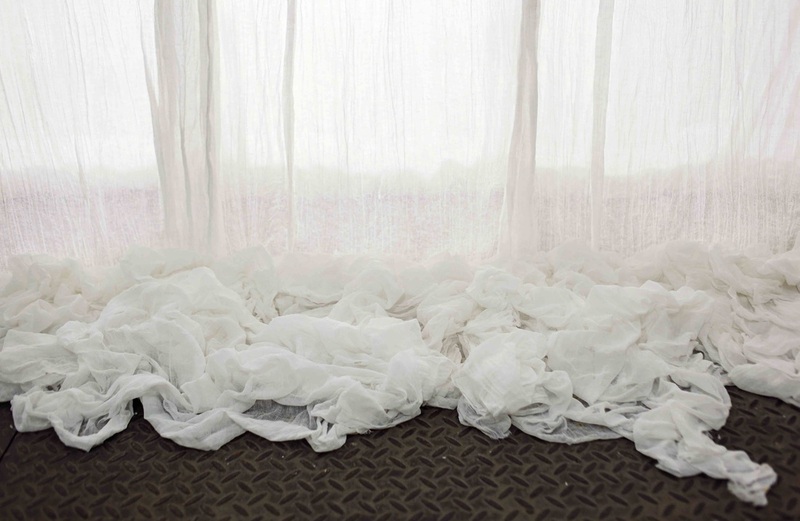 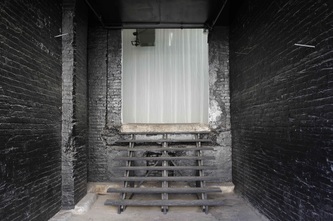 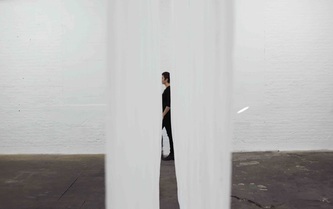 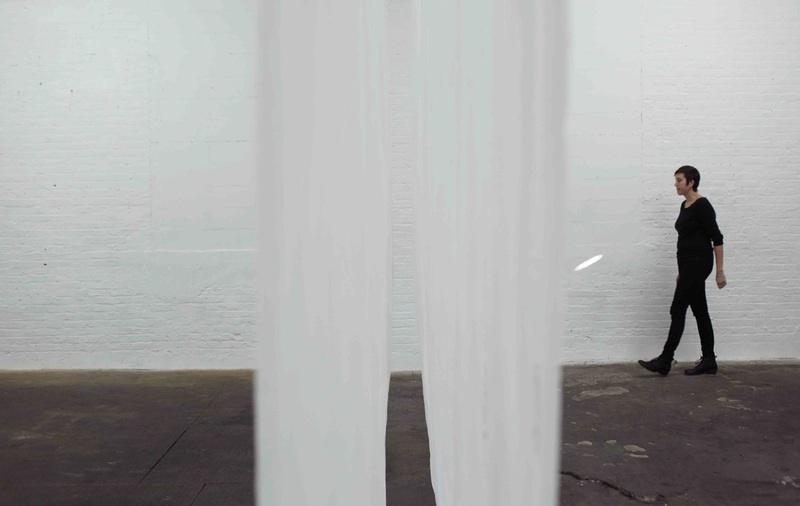 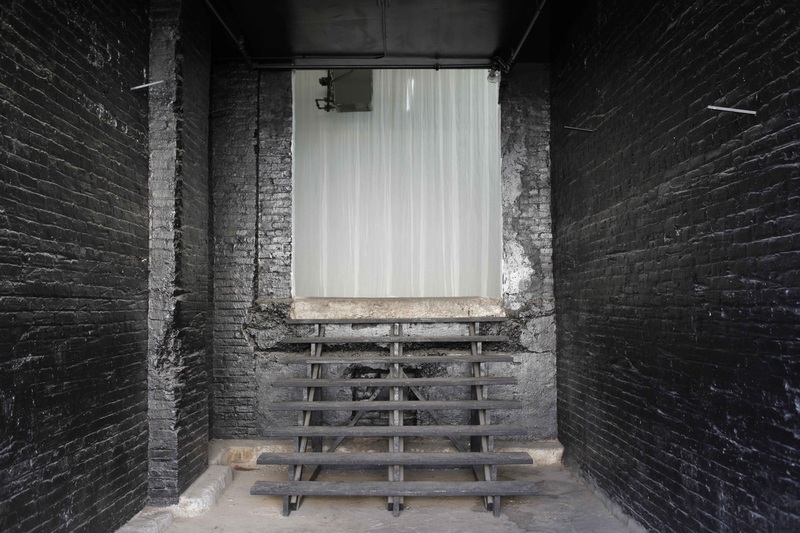 Viewers are invited along the path of the curtains, to become immersed within the installation, and to consider the latent forms made visible within the space and material.